Another day like yesterday. Hot and humid but not quite as hot. And Tuscaloosa got a little rain. We weren’t around to know how much. Birmingham got a lot of rain. That we know because we drove through it this morning. Today is summer solstice. The longest day of the year. It isn’t getting dark until late but it certainly is different than summer solstice in Alaska. We learned about summer solstice in Fairbanks when we visited in 2014. In Fairbanks, Alaska there is a huge festival. There is a semi-pro baseball game played on a field with no lights and the game starts at midnight. It doesn’t get dark all night, just a little dusky. Would love to be there for summer solstice one year. Today we were on the road to Birmingham a little after 8:00, headed to Oneonta. We met with some of the health care team at the long term care facility, and visited with Helen and Jean. Both seemed to be doing as well as can be expected, and both were happy. 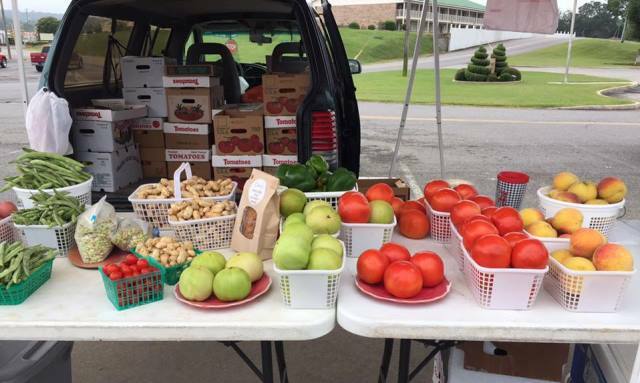 We went by the local produce stand for more fresh corn, tomatoes, new potatoes and this time a watermelon. The watermelon is in the cooler chilling and we are looking forward to cutting it tomorrow. Sure hope it is a good one. We will enjoy some of our fresh veggies tomorrow too. 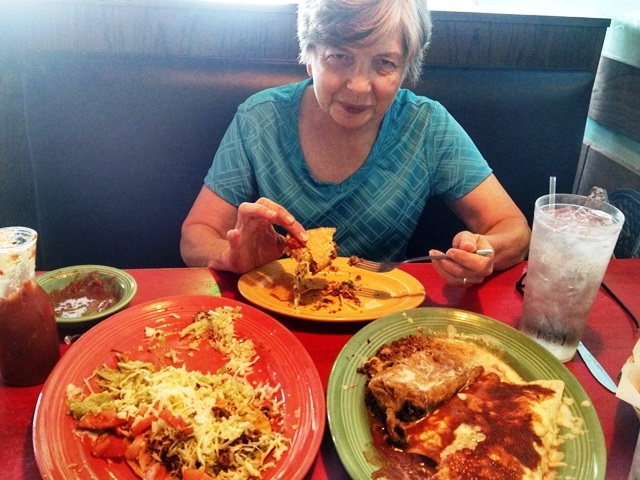 Today for our “big meal of the day” we stopped at Munoz, our favorite Mexican restaurant in Trussville. It’s been forever since we have been there so we really enjoyed today. We have enough food leftover for two more meals but it was so good. After lunch it was a quick stop at Publix for some groceries, two banks for Aunt Jean and then back to Tuscaloosa. We waited till almost dark for our walk and it was a little cooler with a light breeze. Nicer than last night. Good walk. Good day.